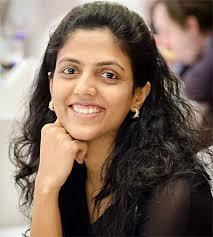 Harika Dronavalli is an Indian Chess player who recently bagged Bronze in World Women’s Chess Championship. However, India has set another specimen of discrimination with her victory as nobody welcomed Harika Dronavalli at the airport with garlands except her parents. One should be proud of her achievement. However, being proud was way far because India did not even cheer the victory. In fact, India set an example of discrimination. Since Childhood, I am hearing Cricket is always kept on priority but I personally never believed this. Because I always felt our nation is diverse and secular. There might be Gender Discrimination, but all the sports are treated equally. Today, India has proved me wrong with its shocking behaviour. As we always talk about bagging medals in competitions but what we did even after bagging a medal? We didn’t even recognize her victory. If it would have been Cricket’s victory, thousands of people must have reached the airport to welcome Team India. Then why India did not welcome its proud daughter? I being a daughter of India did not expect this behaviour from my motherland, but instead of being angry, I feel sad about the fact our nation is lagging behind. Because we don’t appreciate people. If we want to succeed, we need to celebrate every single success. And raise voice against discrimination. Because if discrimination keeps on prevailing, India will not be in a position to compete with other nations. And will keep on lagging as earlier. So, I request everyone to be a responsible citizen of India and uplift ourselves above the bar of discrimination. Because it’s high time to upgrade our thought process. As up-gradation is the only key to success. Because with time, the amendment is always required. So, let us pledge together, we will put our best effort for India’s enhancement. Moreover, let India grow in a healthier and prosperous manner. Next Election Results are Out: How Congress Sets a Benchmark in Punjab?